On January 25, 2019, Klaus Froboese, member of the Council of George Frideric Handel Society, died after a serious illness. As Intendant of the Halle Opera, he has been involved in Halle’s Handel activities in a very personal and committed manner since 1991. 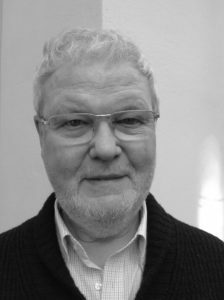 In 1993 he was very much involved in the founding of the Handel Festival Orchestra, was elected to the Council of the Handel Society in 1999 and to the Board of Trustees of the Handel House Foundation in 2008. In 2006 he was awarded the Handel Prize of the City of Halle. “It was an intensive, successful, very beautiful and rousing collaboration lasting over 15 years, which I remember with pleasure and gratitude”. (Dr. Hanna John, long-time Director of the Handel Festival and Vice President of the Handel Society). “His curiosity about Handel was insatiable, and his commitment to the Handel Society went far beyond his many years in the Council.” (Prof. Dr. Wolfgang Hirschmann, President of the Handel Society).